The Xiaomi Mi 5 is out and it is stylish, good looking phone that can be rounded up in one sentence: the most affordable Snapdragon 820 phone out there. 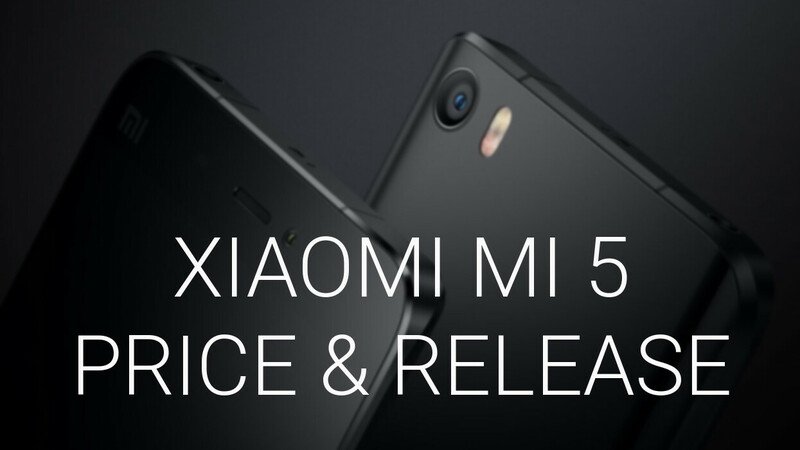 The Xiaomi Mi 5 release date is set for March 1st, while pre-orders in China are open now. So far, there is no info whether the Xiaomi Mi 5 will be available in the United States or Europe. Add 200 USD on top = the real price. Doesn't matter to me... sooner or later it is officially comming to India. I can wait.. I sure hope they will launch it soon unlike they skipped the mi note pro.. I'm due for a upgrade and this would be a good phone to upgrade from my galaxy s4. Don't even have high hopes for the s7 as it will be priced out if this world when launched here. Sorry i mean I can see its different however the style, design & imagery of the ad is virtually identical. In my opinion this phone destroys pretty much everything. If I lived in the US I'd get it for sure. You know they're huge already, right? I'm in the US and would love it if they came here. Very well priced! Can't wait to see reviews. if I buy this phone, can I use this one in Europe?